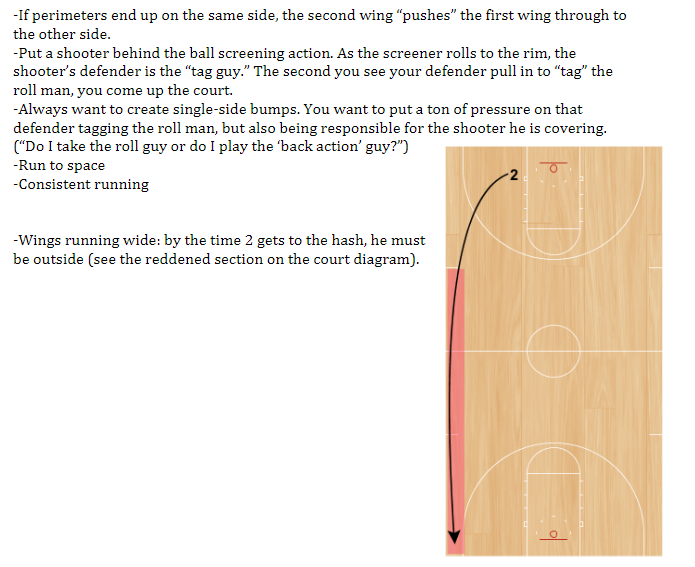 This is one good example to counter it. 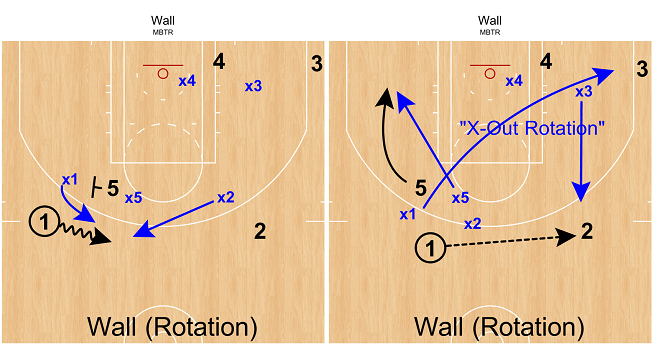 Here Trez kicks Lou Williams out when Dirk tries to post him, but Powell makes a ghost cut to the rim as soon as Trez leaves him rather than allowing the Clippers to dictate defensively. 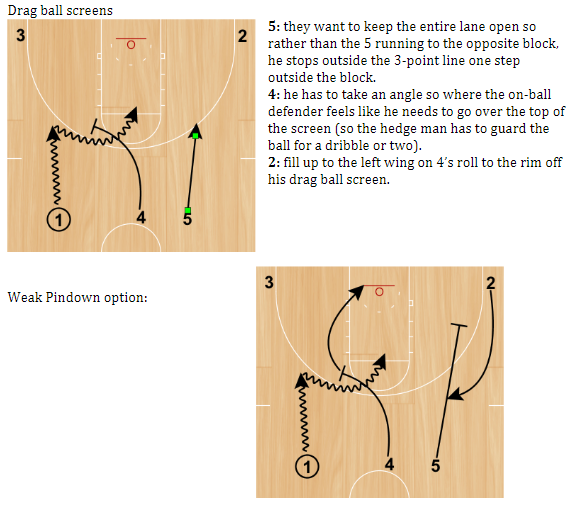 Now Mavs gets another mismatch they can attack. 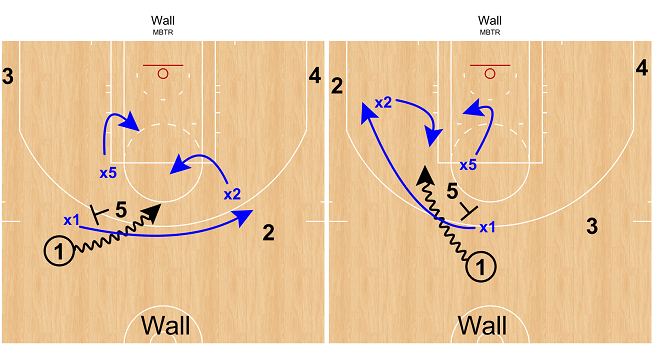 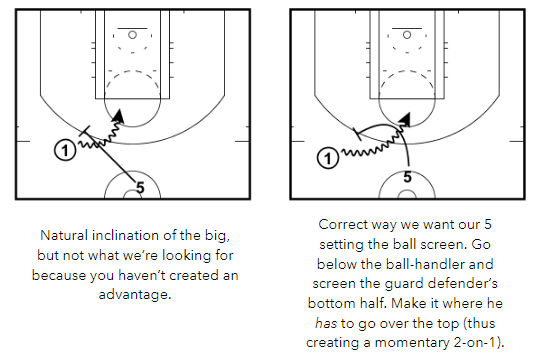 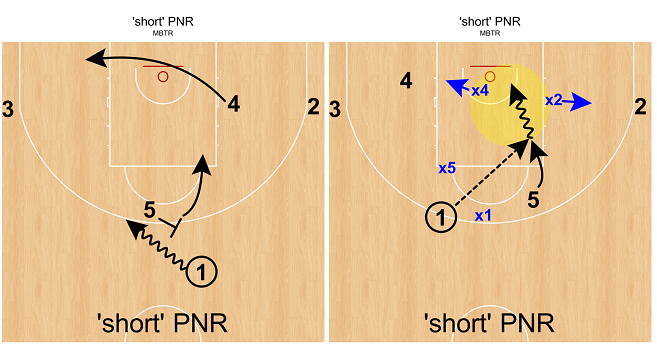 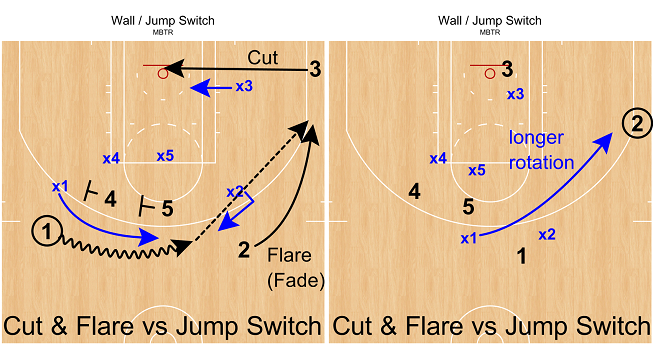 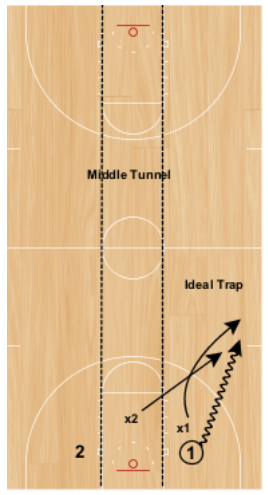 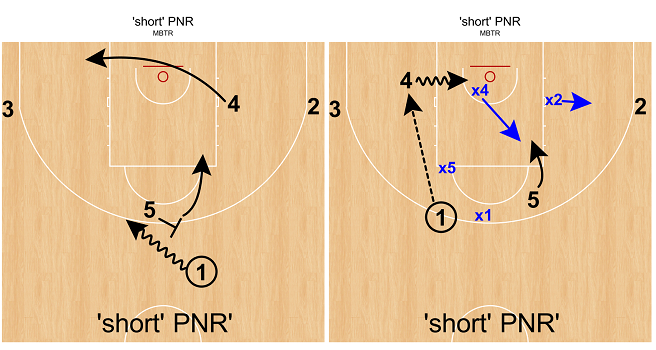 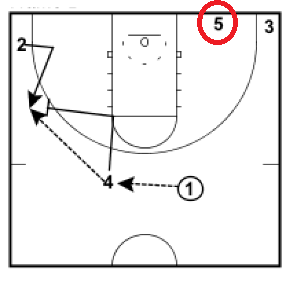 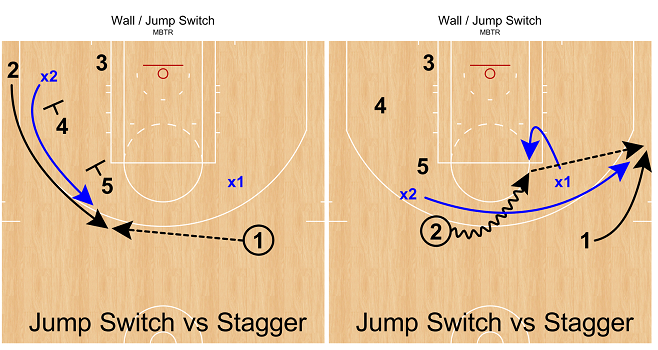 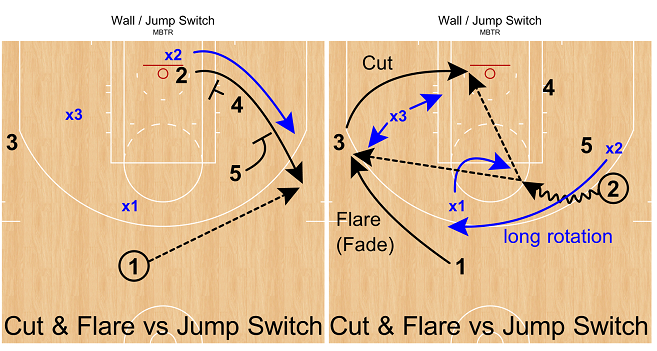 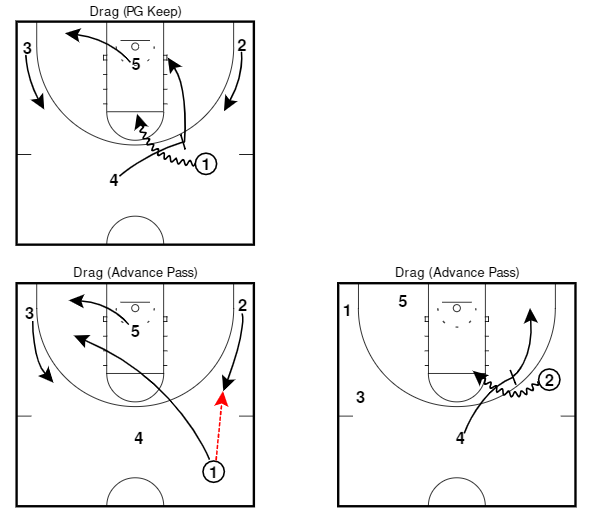 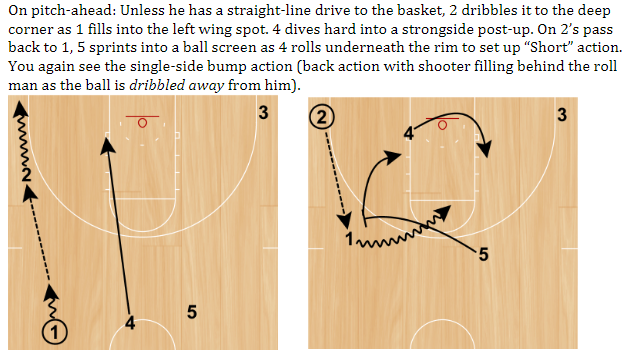 LEFT PIVOT / PROTECT THE BALL / LOW "RIP THRU" / EXPLOSIVE "RIP THRU" / HEAD BELOW THE SHOULDER / HIGH "RIP"
JAB SERIES……”RIP & GO” / ”RIP & GO, TIGHT SPIN” / ”JAB RIGHT, GO LEFT” / "JAB RIGHT, GO LEFT, TIGHT SPIN" / "JAB, JUMPER" / "HIP JUMPERS" / ”MELO SPIN” / ”QUICK GO LEFT” / "STEPACROSS, RIP & GO" / "STEPACROSS, JAB RIGHT, GO LEFT" / "STEPACROSS, JUMPER" / "STEPACROSS, QUICK GO LEFT" / "SPEAR MOVE"
POST PLAY FUNDAMENTALS……GOAL=”Get Middle” / STEP #1: "CATCH" / STEP #2: "LOOK" - "LOOK" Quick Attack - "LOOK" Re-Post / STEP #3: "GO" - GO "THRU" THEM - GO "AROUND" THEM - "LOCK'n LOB"
"HIGH SIDE & GO" / "HIGH SIDE COUNTER" / "HIGH SIDE JAB JUMPER" / "HIGH SIDE JAB MIDDLE GO BASELINE"
"LOW SIDE & GO" / "LOW SIDE COUNTER" / "LOW SIDE JAB JUMPER" / "LOW SIDE JAB BASELINE GO MIDDLE"
……”SHOULDER FAKES” / "STEP THRU's & EXTRA PIVOTS"
”READS”……"SOFT SHOW" - GO UNTIL STOP US / "HARD SHOW" / "UNDER FOOTRACE" / "UNDER STOP BEHIND" / ”UNDER RE-SCREEN” / "UNDER CHANGE DIRECTION"